Simon, the classic test of memory, is what we decided to build for our final project. The game console consists of four different colored LEDs with corresponding buttons. A �sequence� is a series of �colors,� with each color (red, blue, yellow, and green) having a matching colored LED, button, and musical note. 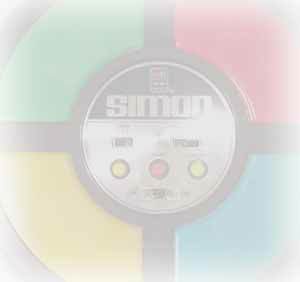 Simon will flash a sequence of colors and sounds, which the user then has to repeat. After each successful repetition of the pattern, Simon will add on a new color to the sequence. Again, the user must repeat the sequence. This process continues until the user answers incorrectly, or the sequence reaches a predefined limit. However, our version of Simon includes a few modifications to the classic design. Ours contains two different modes of play with three different difficulty levels. Classic: This mode of play will simulate the original Simon game. The sequence of lights and sounds are repeated until the user makes an error or the game reaches the sequence limit. The limit, in this case, is defined by the difficulty the user selects. Easy mode will have a limit of 7, Medium has a limit of 15, and Difficult will continue to 31. Free For All (FFA): This mode sets the sequence limit to 99, which is essentially infinite, since it is highly unlikely that any user can reproduce 99 repetitions. In this mode, the user will simply try to see how many patterns he can repeat before losing. The difficulty levels, in this case, will affect how fast the pattern is displayed. On Easy, the sequence is played at the normal Simon pace. On Medium, every 5 rounds, the speed of the played sequence is accelerated. Likewise, every 3 rounds on Difficult, the sequence is accelerated. Once the game has ended, the user can press Start to begin a new game.